An Irishman and an American talk about Aged Care in Australia - Allambie Heights Village Ltd.
An Irishman and an American sat down for a chat! Ciarán Foley, CEO of Allambie Heights Village Ltd and Executive Director of Mirus Australia, Rob Covino both arrived in Australia in 2006 from Ireland and the USA respectively. Enjoying the view, fresh air and the chance to catch up “Deckside” at the Mirus Australia Sydney Office, Rob and Ciarán took the time to talk about all things aged care. Ciarán Foley at just 18 years old became a care staff worker at his local hospital. He explained in the 1980’s it was referred to as a “Geriatric Hospital”. Ciarán has a Bachelor of Social Studies (Hons), Certificate of Qualification in Social Work (University of Dublin, Trinity College), Post-Graduate Qualification in Management (University of Strathclyde, Scotland). He has worked in a range of Senior Management Health and Social Services positions in Ireland and the United Kingdom. He operated his own management consultancy business in Ireland for six years before moving to Australia. He has extensive experience in the provision of services for older people and was first to provide training in the Protection of Older People to groups in Ireland in association with the Working Group on Elder Abuse and through his consultancy business. 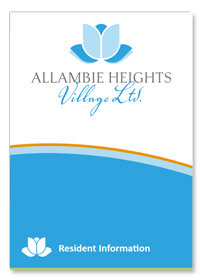 He joined Allambie Heights Village Ltd as Chief Executive Officer in 2006. Ciarán generously shares his expertise on how he would like to encourage us all to turn ‘threats into opportunities’ and he believes the key is adaptability. He explains that despite the current challenges in aged care, with the support of his Board and amazing team, Allambie Heights Village Ltd is moving forward with positive energy, excitement, and innovation. Deckside with Ciarán unpacks four (4) key areas that he considers are important to consider during times of change and what he would like to come out of the Royal Commission into Aged Care Quality and Safety which include (1) finance and funding review (2) Less red tape and regulation (3) Spotlight on workforce management and (4) understanding the value of real partnerships. 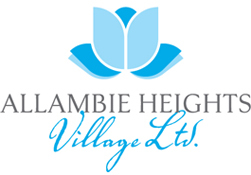 He also offers advice, recommendations and suggestions to consider across our industry and practical examples from Allambie Heights Village Ltd. This in-depth interview with Ciarán offers a rare insight into the laser-sharp focus and tenacity of a senior executive in aged care in Australia who welcomes the opportunity to challenge the status quo. Allambie Heights Village Ltd is a valued client of Mirus Australia.